Art is intrinsically emotional. When you’re creating art that is true to who you are instead of just making the art you think you’re supposed to be making, people can tell the difference. (Check out a great podcast on this topic here.) 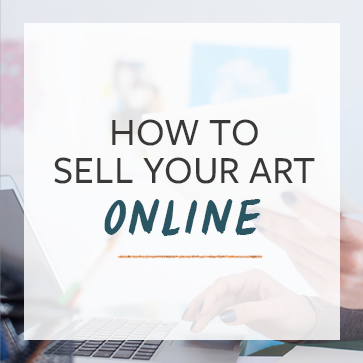 Pursuing an emotional connection with your collectors throughout the process is an almost surefire way to sell more art over time. 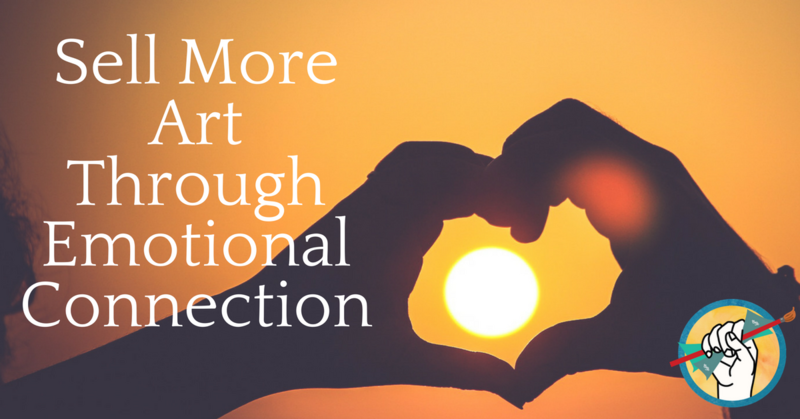 There are six steps you can start following right now to aid in the process of forging an emotional connection with your collectors. All of your originals should be signed for easy verification of authenticity. To this end, make sure that your signature is legible and remains consistent across your entire body of work. This will make it easy for collectors (and perhaps curators) to tell if a piece is yours. Giving your work a descriptive or intriguing title will help collectors discuss your work more easily. It will also help collectors and curators identify individual pieces. A good title also allows the viewer a glimpse at understanding the piece. Feeling a sense of understanding does wonders for helping viewers to connect emotionally to your work. Number your work, especially if you are making limited edition prints. This is also helpful if you are creating a series of works that are relatively similar. Provide each piece with a number or a very specific title to help collectors recognize and differentiate. Most artists find it fairly easy to photograph their completed work, but many struggle to document the process of the work as they are creating it. Here’s what you can do: step back from your work every so often, and take a picture so you can see the progress. Not only will this help you to remember the techniques and processes you’ve discovered as you’ve worked, but fans of your work will love to see the in-between shots. Social media is social. A lot of artists make the mistake of posting photos of their work to social media, without explaining and giving context. It is very important to spend time nurturing and building relationships with the people seeing your work on social media. It’s an easy rule of thumb: if you’re going to use social media, be social on it. Along with sharing your work in progress, take the time to talk in depth about your work. Your website and mailing list are the ideal places for this, because blogging allows for longer-form communication than social media. Jolie Guillebeau is a great example of #6 in action. She created daily paintings, and sent daily emails to her list with in-depth explanations of her emotional connection to the pieces. Her work almost always sold out. If you are feeling unsure about whether your art has a story, take a step back for a moment. It is possible that you are not putting enough of yourself into your work. Do you feel an emotional attachment to your work, or are you just creating the work you think you’re supposed to be making? If it’s the latter, it’s time to dig deeper and work harder to impart yourself into your art. It is also entirely possible that your work is great and has a great story, and you simply need to figure out how to get that story out. A very effective way to discover the story of your art is to document your process. As you are creating your art, take the time to journal. Write down the thoughts and feelings you’re having when you’re making your art. If you journal throughout the creation of your art, you will discover common themes and motifs that run through your art, and which you’ll be able to communicate when it’s time to title and talk about your art.